Our Pro Series Outdoor String Lights are designed with the demands of businesses, outdoor events and street displays in mind, and are perfect at Christmas or any time of the year. 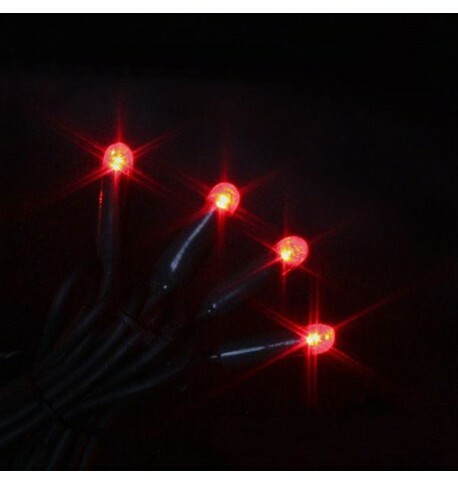 These wonderfully bright outdoor Christmas LED lights are a modular and inter-connectable system of LED fairy lights; use them in conjunction with their connectable accessories to make dressing a Christmas tree or building easy. They are the perfect outdoor fairy lights for Christmas and events any time of year. The Pro Series lights range offers complete flexibility and great durability. This modular lighting system can be added to year on year depending on your requirements. In addition to classic static, our sparkling or strobe string lights offer an extremely attractive effect - every tenth bulb randomly flashes, creating a festive twinkling that is perfect for Christmas displays.